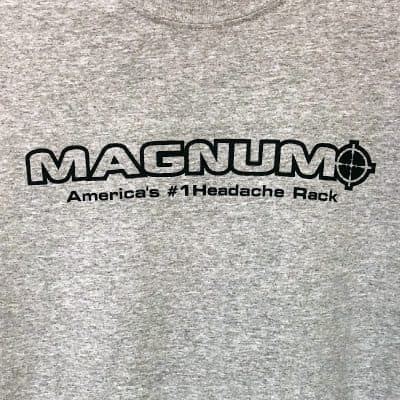 Apparel - Magnum Manufacturing, Inc.
Gildan® Heavy Cotton™ T-Shirt in Ash Gray with the Magnum logo screen printed on the front in black. Preshrunk. Machine-washable. Available in S, M, L, XL, 2XL, and 3XL.